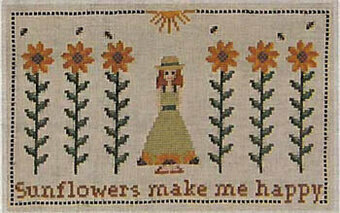 "You're the sweetest strawberry in the basket of my life" Model stitched on 32 Ct Flax Belfast using Romy's Creations and DMC floss (or all DMC 839, 524, 522, 304, white). 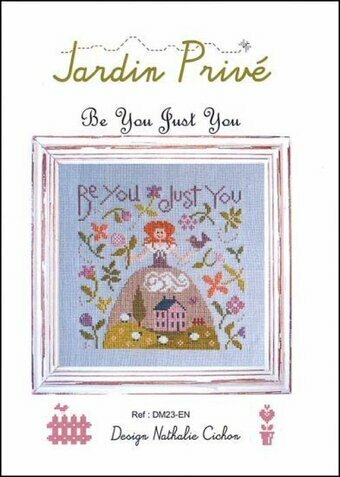 Stitch count is 94W x 90H. 1 strawberry button included, 3 PuntiniPuntini Pins not included. 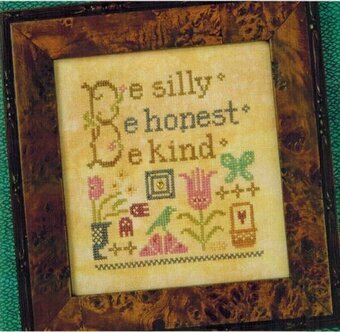 "A little nonsense now and then is relished by the wisest man" Model stitched on 32 Ct. Jazz Belfast linen using Classic Colorworks, DMC floss and Gentle Art Sampler Threads (or all DMC 210, 316, 166, 718, 3837, 937, 3808, 825, 310, 728, 828, 840). Stitch count is 195W x 145H. 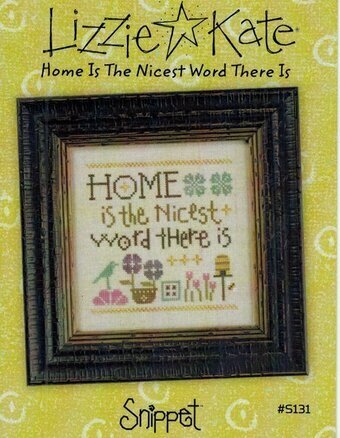 "Home is the nicest word there is." Model stitched over 2 threads on 30 ct. Lambswool linen with Weeks Dye Works and DMC floss (or all DMC 3687, 3790, 3031, 611, 3740, 3816, 783, white). Stitch Count: 70W x 70H. 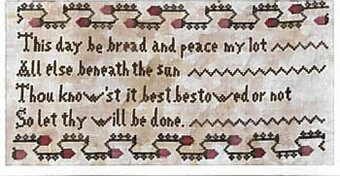 "This day be bread and peace my lot, all else beneath the sun. Thou know'st it best to wed or not, so let thy will be done." 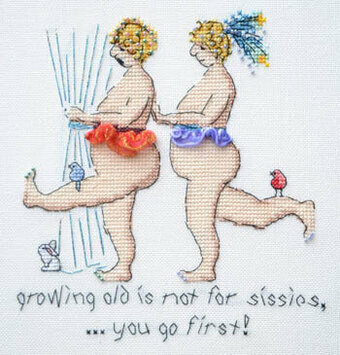 Part of an 8 part series - this is part 5 - or can be stitched alone. 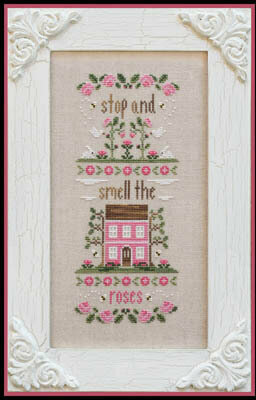 Model stitched on 36 Ct. Wren Belfast by Picture This Plus with Gentle Art Sampler threads (or DMC 937, Ecru, 3031, 221, 223). 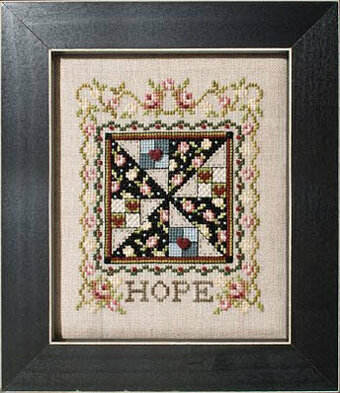 Stitch Count - Entire Series: 810x170, for this design: 170x100. "A journey of a thousand miles must begin with a single step." 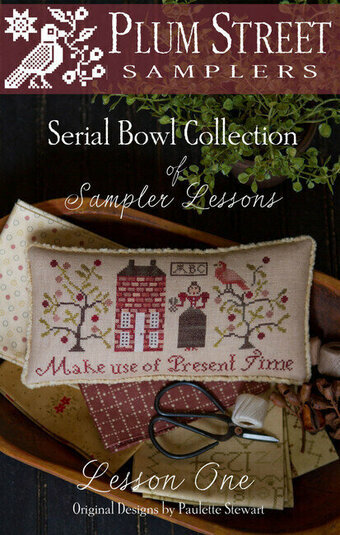 Model stitched on 30 Ct. Confederate Gray linen with Weeks Dye Works, DMC floss, and Gentle Art Sampler threads (or all DMC 611, 3781, 310, 315, 935, 730, 822, 3051, 729). 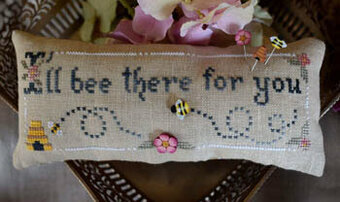 Stitch Count: 273W x 60H. Comes with buttons. 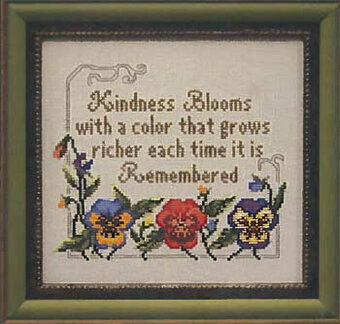 "Kindness blooms with a color that grows richer each time it is remembered." 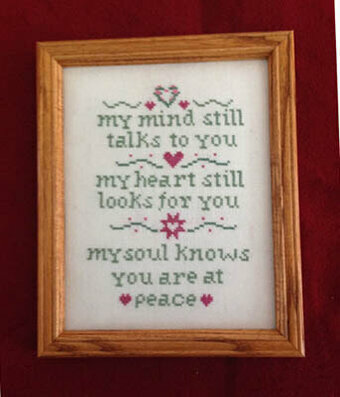 Model stitched on 28 Ct. Platinum Cashel using DMC floss. 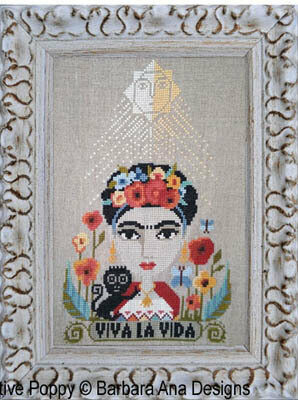 Stitch count is 100W x 85H. 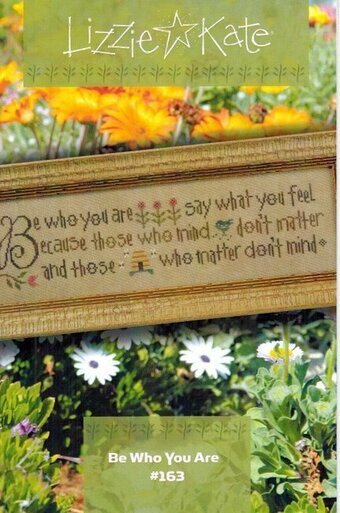 "Friendships are little flowers. They grow a little everyday." 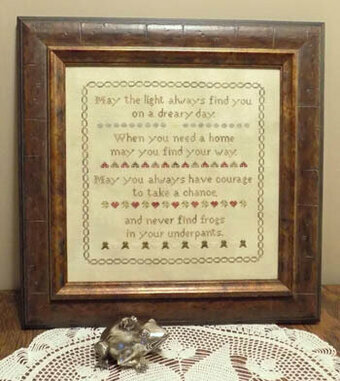 Model stitched on 28 Ct. Fog Cashel linen using Classic Colorworks and Gentle Art Sampler Threads (or all DMC 3822, 931, 775, 520, 3835, 3834, 3347, 3341, 353, 3753, 327). 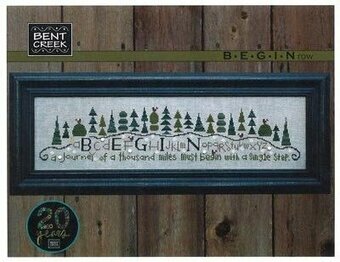 Stitch count is 105W x 60H. 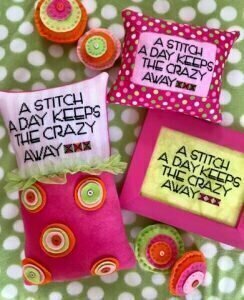 "A stitch a day keeps the crazy away." 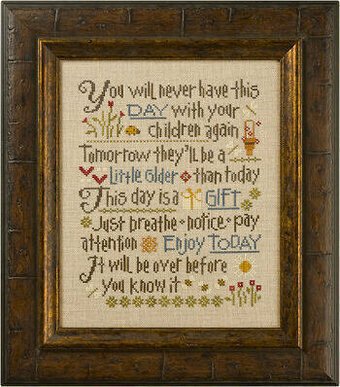 Large pillow model stitched on 28 Ct. Pink from Fabric Flair, Small pillow stitched on 35 Ct. Sophia's Pink and Framed model stitched on 28 Ct. Kermit using DMC floss. Stitch count is 88W x 50H. "The fowls above the Lord doth know, the Earth with wonder He fills. 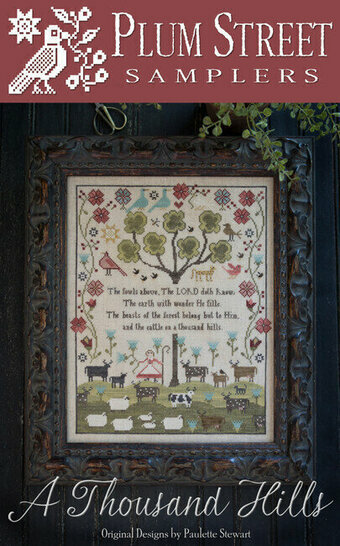 The beasts of the forest belong but to Him, and the cattle on a thousand hills." 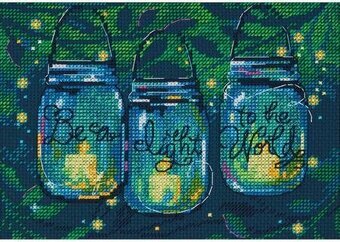 The model was stitched over 2 threads on 36 ct. Winter Brew by R&R Reproductions with Classic Colorworks and Weeks Dye Works floss (or DMC 356, 371, 504, 822, 829, 950, 3011, 3012, 3021, 3045, 3064, 3371, 3857).Stitch Count: 156W x 194H. 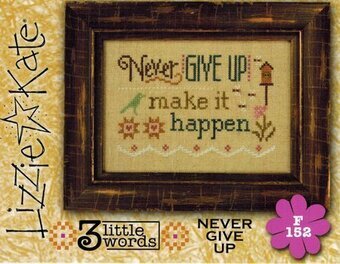 Part 5 of the 3 Little Words Series: "Never Give Up. Make it Happen." Individual model stitched on 32 Ct. Lambswool linen with Weeks Dye Works and Classic Colorworks floss (or DMC 435, 898, 930, 3865, 3354, 730, 3816, 3803). Comes with tiny button. 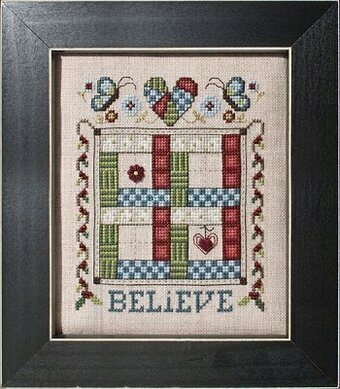 Stitch Count: 81W x 41H. If stitching the entire 7 part series as one piece, the stitch count is 95W x 388H. 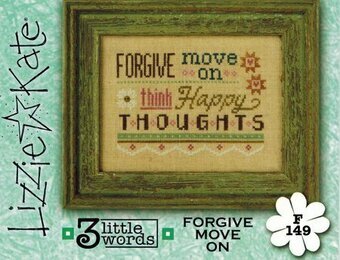 Part 2 of the 3 Little Words Series: "Forgive, Move On, Think Happy Thoughts." Individual model stitched on 32 Ct. Lambswool linen with Weeks Dye Works and Classic Colorworks floss (or DMC 435, 898, 930, 3865, 3354, 730, 3816, 3803). 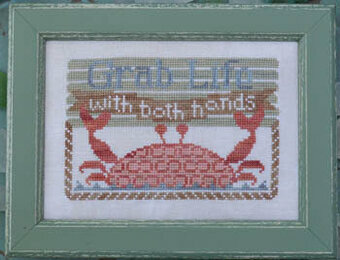 Stitch Count: 82W x 56H. If stitching the entire 7 part series as one piece, the stitch count is 95W x 388H. "There's no place like home". Model stitched on 30 Ct. R&R Espresso linen with Crescent Colours, Weeks Dye Works, and Gentle Art Sampler threads (or DMC 554, 3740, 550, 3787, 535, 3033, 610, 3837, 209, 902). Finished size 8.6" x 8.73". 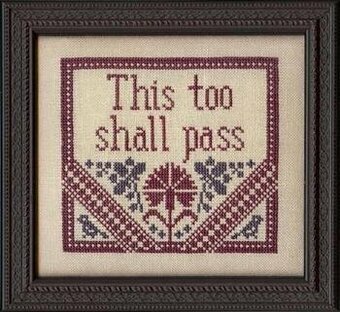 "This too shall pass". Model stitched on 30 count Parchment Linen by Weeks Dye Works with Weeks Dye Works. The stitch count is 75W x 67H. 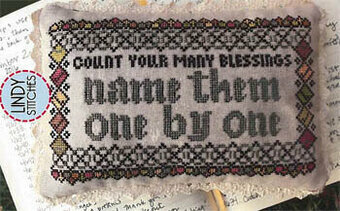 "Count your many blessings, name them one by one." 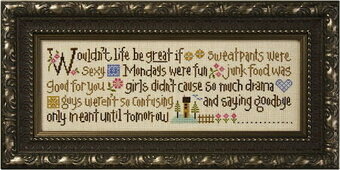 Model stitched on 32 Ct. Light Taupe Lugana using DMC floss. 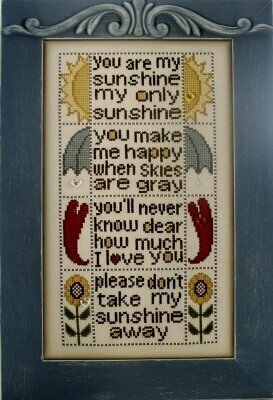 Stitch count is 121W x 75H. "I still remember the days I prayed for the things I have now." Model stitched on 32 Ct. 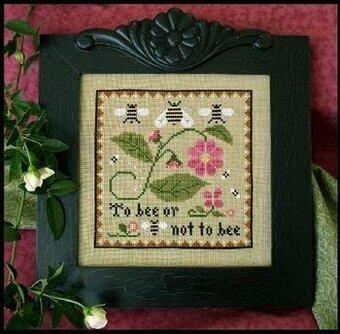 Antique White Lugana using DMC floss, with one optional Gentle Art Sampler Thread for stitching the text. 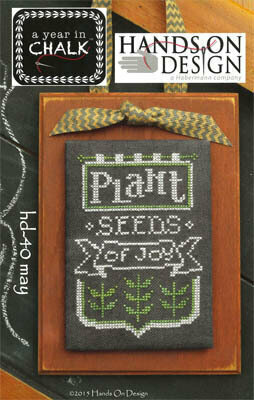 Stitch count is 213W x 120H. Ginger version of cat included. 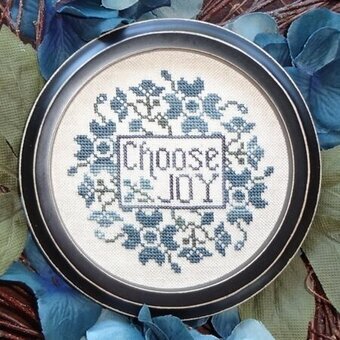 "Choose Joy." 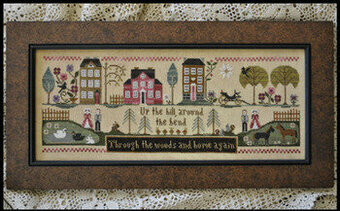 Model stitched over 2 threads on 32 Ct. Country French Cafe Mocha linen with Gentle Art Sampler threads. 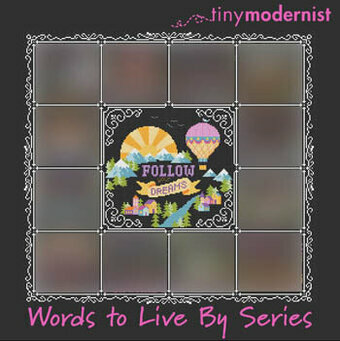 Stitch Count: 63W x 63H. Model stitched on 32 Ct. 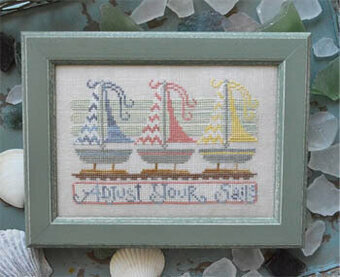 Platinum Linen with Gentle Art Sampler Threads, Weeks Dye Works and DMC Floss. 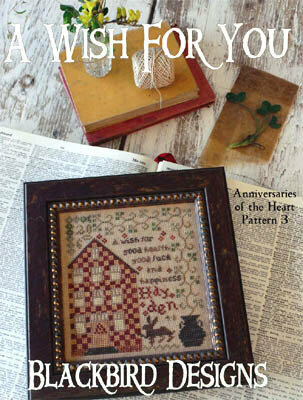 Stitch count: 109W X 109H. 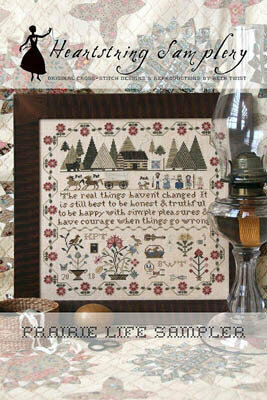 Design size: 7.79" X 7.79". Model stitched over 2 threads on a 22 Ct. Raw Natural Linen (or fabric of your choice) with DMC floss. Stitch Count: 89x138. 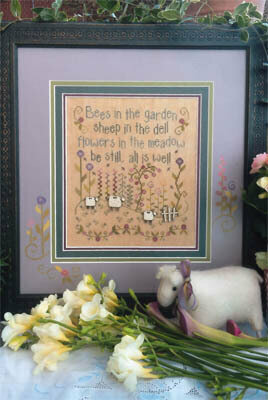 "Where flowers bloom so does hope." 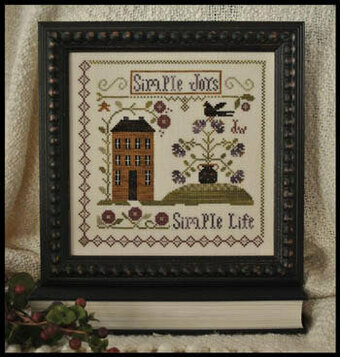 Model stitched over 2 threads on 32 Ct. Vintage Stormy Night Belfast linen with DMC floss. 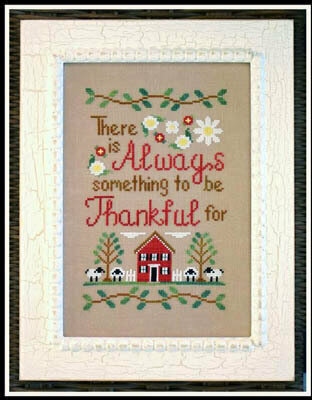 Stitch Count: 127x92. "Happy is the woman who can find constant resources in her own mind." 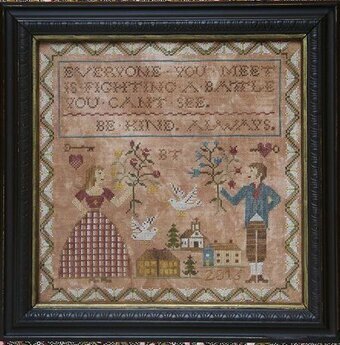 Model stitched over two threads on 32 Ct. Vintage Pearled Barley by Lakeside Linen using Weeks Dye Works, Gentle Art Sampler threads and Classic Colorworks floss (or DMC 3859, 612, 3371, 778, Ecru, 310, 501, 169, 3768, 3787, 3802, 3031, 422) Stitch count 109x109. Model stitched on 32 Ct. Pearl Grey Belfast linen with DMC floss. Stitch Count: 90W x 90H. "Everyone you meet is fighting a battle you can't see. Be kind always." Model stitched on 32 Ct. 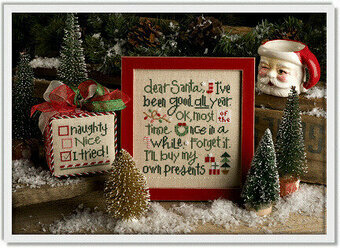 Gingerbread by Picture This Plus with Classic Colorworks and Gentle Art Sampler threads. Stitch Count: 171x171.